An exhibition on the history of timekeeping, The Mastery of Time opens on 7 February at Roppongi Hills in Tokyo and runs for a week. 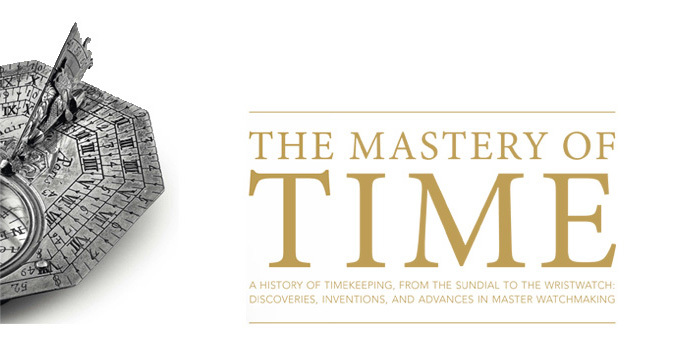 From sundials to modern atomic watches, The Mastery of Time covers the history of timekeeping. Organised by the Fondation de la Haute Horlogerie (FHH), an industry body dedicated to spreading the gospel of fine watchmaking, the exhibition is open to the public and admittance is free. It runs from 7 to 12 February 2014, and is located at: Ümu Asahi Tower TV 1F, Roppongi Hills, Tokyo 6-9-1 Roppongi, Minatoku, 106-8001 Tokyo, Japan The exhibition is also to mark the 150th anniversary of the conclusion of diplomatic relations between Switzerland and Japan. More details, including an exhibition catalogue, are available on the FHH official page.